Golden Ride Rentals have two shops in Coral Bay with plenty of free parking. 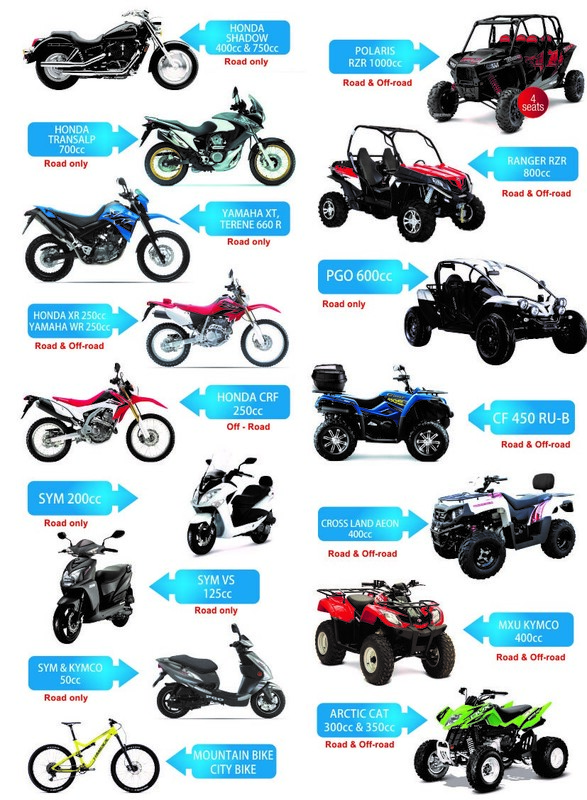 We have a wide range of quadbikes, road and off-road buggies, motorbikes, scooters, and bicycles. On all motorized vehicles there’s a safety deposit from 100-1000 Eur depending on the specifics of your rent. The insurance for rentals is 3rd party.